Operation People Power is an upcoming new TV series, which starts during the run up to Christmas. 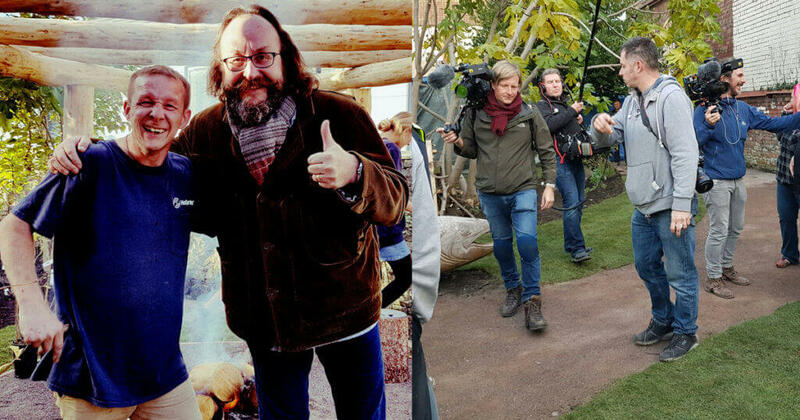 It is hosted by Dave Myers (also of ‘Hairy Bikers’ fame) and a top team of celebrities that he has assembled together to show what volunteers can do to help those that are in need in our local communities. The series will be aired on BBC ONE at 9.15am in the mornings for the entire week from Monday 12 December 2016. 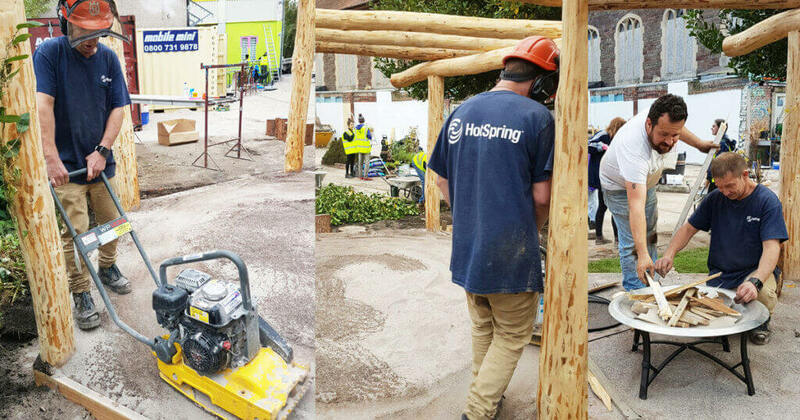 HotSpring took part in the first episode of the show called ‘Green Space’ which created a wonderful area for the young people of the Bristol community. We teamed up with the Baggator Young Peoples Project which provides activities encompassing Health, Arts, Sports, Bicycle Maintenance, ICT and Cultural Exchanges. The Baggator Young Peoples Project has been working in the local Bristol community for the last 12 years, meeting the concerns expressed by parents and young people for the provision of a friendly and safe out of school environment for their young people. They work in some of the most socially deprived areas of the city providing programs of informal education, skills training and leisure activities for youngsters up to 19 years of age. 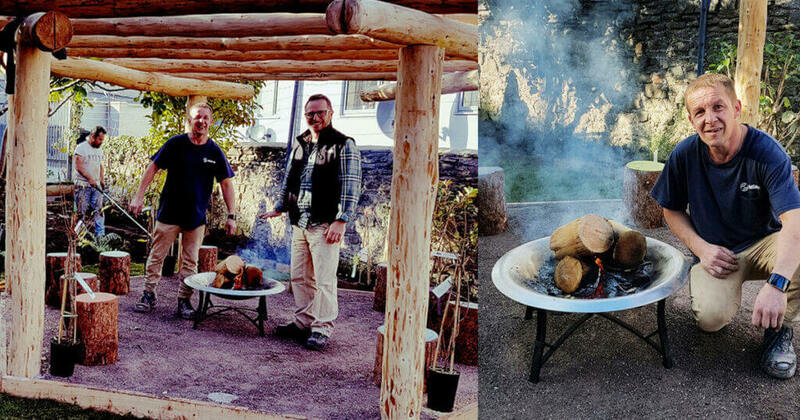 For the show, HotSpring donated a super fire pit from their accessories range which went into the garden area of the Baggator centre. Our very own Nik Miles (of HotSpring South West) provided a helping hand along with Dave Myers, Mark Miller (of DIY SOS fame) and the other volunteers. They all worked collectively on an amazing revamp of the facility for the local community to enjoy. This project enables everything from choir practice to theatrical arts to take place and be enjoyed by all! Lynda Smart of HotSpring World said ‘‘We welcomed the opportunity to get involved in this exciting project as we have a personal interest in actively helping to improve the health and wellbeing of communities, especially those that help the youth, as this is an investment into all of our futures’’. Nik goes on to say “By now everyone knew my name and I had several conversations building rapport with the main cast and crew even sitting down and having lunch with Hairy Biker Dave!! Eventually I was able to light the fire pit and help get ready for the big BIG REVEAL!!!!!!!!! Well done to Nik of HotSpring and the team! We wish all the best for the future, to the entire crew and volunteers of Operation People Power, as they help change people’s lives for the better!